The Burton Women’s Step On Bindings are a great choice if you are looking for a quick release binding that also is very easy to click your boot into. The Step On Bindings have great response when it comes to turning, they have a medium flex that has a slightly aggressive feel to them. 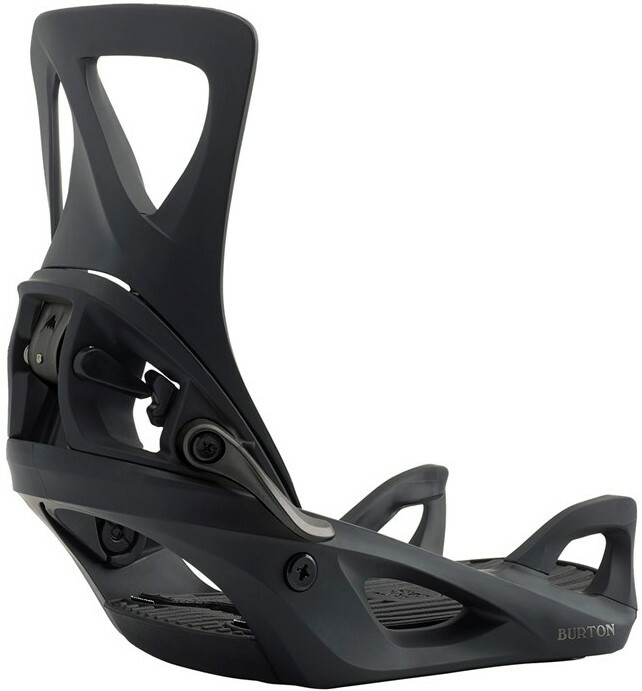 There are micro adjustments for the high back but you can’t fully rotate the high back like other bindings. From what I’ve seen and tried of the quick release bindings on the market, these seem to be the easiest to use and the most responsive. Highback Flex: They have a medium flex, but to me, they felt a little more aggressive than a normal medium binding. Boot Adjustability: There’s not much to adjust here, you have micro adjustments on the highback itself but you can’t actually rotate it, and you can also adjust the footbed. Stance Width Adjustability: Great if you are using a channel system board, average if you are using the 4-hole disc. Comfort: I found them pretty comfortable. The footbed seems to be the right size and the high back was comfortable as well. Boot Support: Most of the support comes from the boot itself with this system. Turn Initiation: Very fast turn initiation, the contact that your foot has with the binding itself is almost immediate and that makes for easy quick turning. Buttering: I didn’t enjoy buttering on these bindings very much. They didn’t seem to flex with me when I tried to flex hard. Shock Absorption: Pretty good, not the best but you get a decent amount of foam underfoot and they were a pretty smooth ride. We try to get as many images of the Burton Womens Step On Binding, but forgive us if they're not all there.